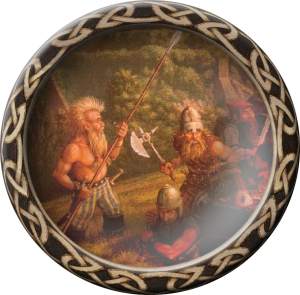 The Klar were a clan of hill dwarves trapped inside Thorbardin during the Cataclysm and not allowed to leave the mountain kingdoms when the dwarven kingdom was sealed from the inside. As a clan, they are known for wild-looking eyes and wiry beards, though in truth their reputation as madmen is largely undeserved. Klar make excellent warriors, thieves and rangers.